Digital humanities - is an area of research, teaching, and creation concerned with the intersection of computing and the disciplines of the humanities. Developing from an earlier field called "humanities computing", today digital humanities embrace a variety of topics ranging from curating online collections to data mining large cultural data sets. Digital Humanities currently incorporates both digitized and born-digital materials and combines the methodologies from the traditional humanities disciplines (such as history, philosophy, linguistics, literature, art, archaeology, music, and cultural studies) with tools provided by computing (such as data visualisation, information retrieval, data mining, statistics, computational analysis) and digital publishing. "The city of Uruk: 3000 B.C." – Using virtual reality and Artificial Intelligence for preserving and simulating everyday life of ancient Sumerians. Hansen D, Maeder A, Schaper L, 2011, Health Informatics: The Transformative Power of Innovation, IOS Press BV, Amsterdam Netherlands. Bogdanovych A, Kiran I, Simoff S, 2012, The City of Uruk: Teaching ancient history in a virtual world in Lecture Notes in Computer Science - Intelligent Virtual Agents, Y Nakano, M. Neff, A. Paiva, M. Walker, Germany, pp 28-35. Bogdanovych A, Simoff S, 2011, Establishing social order in 3D virtual worlds with virtual institutions. in Security in Virtual Worlds, 3D Webs, and Immersive Environments: Models for Development, Interaction, and Management., A Rea, Hershey, PA , USA, pp 140-169. Duong C, Maeder A, Chang E, 2011, ICT-based Visual Interventions Addressing Social Isolation for the Aged in Health Informatics: The Transformative Power of Innovation - Selected Papers from the 19th Australian National Health Informatics Conference (HIC 2011), Hansen DP, Maeder AJ, Schaper, LK, The Netherlands, pp 51-56. Bjering H, Ginige A, Maeder A, Bensoussan A, Zhu X, Lattuca C, 2011, Electronic Medical Record Information System for Patient Consultations in Chinese Medicine in Health Informatics: The Transformative Power of Innovation - Selected Papers from the 19th Australian National Health Informatics Conference (HIC 2011), Hansen DP, Maeder AJ, Schaper, LK, Netherlands, pp 10-15. Bogdanovych A, Simoff S, 2010, Establishing Social Order in 3D Virtual Worlds with Virtual Institutions in Security in Virtual Worlds, 3D Webs, and Immersive Environments: Models for Development, Interaction, and Management, Alan Rea, Michigan, USA, pp 140-169. Tague R, Maeder A, Nguyen Q, 2010, Time-based Interactive Visualisation of Vital Signs in Global Telehealth, Anthony C Smith, Anthony J Maeder, Netherlands, pp 169-178. Mehar A, Maeder A, Matawie K, Ginige A, 2010, Blended Clustering for Health Data Mining in IFFP Advances in Information and Communication Technology, Turner, J., Seneca, S.C., USA, pp 130-137. Simoff S, Sudweeks F, 2010, The Language of Leaders: Identifying emergent leaders in global virtual teams in Leadership in the Digital Enterprise: Issues and Challenges, Pak Yoong, Hershey, PA, pp 232-250. 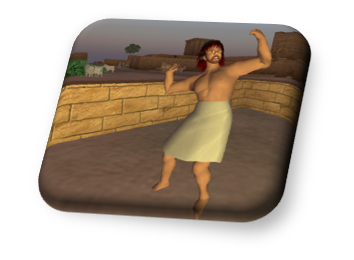 Bogdanovych A, Rodriguez-Aguilar J, Simoff S, Cohen A, 2010, Authentic Interactive Reenactment of Cultural Heritage with 3D Virtual Worlds and Artificial Intelligence, International Journal of Applied Artificial Intelligence, Special Issue on Intelligent Virtual Agents, vol 24, no. 6, pp 617-647. Moshtaghi M, Havens T, Bezdek J, Park L, Leckie C, Rajasegarar S, Keller J, Palaniswami M, 2011, Clustering ellipses for anomaly detection, Pattern Recognition, vol 44, no. 1, pp 55-69. Maeder A, Gogoa S, Hartvigsen G, 2011, Next Generation Telehealth, Contribution of the IMIA Telehealth Working Group, Yearbook of Medical Informatics, vol 2011, no. 3, pp 15-20. Nguyen Q, Simoff S, Catchpoole D, 2011, Interactive Visualisation with User Perspective for Biological Data Analysis in Health Informatics: The Transformative Power of Innovation - Selected Papers from the 19th Australian National Health Informatics Conference (HIC 2011), Hansen, D.P., Maeder, A.J. and Schaper, L.K., Netherlands, pp 125-132. Nguyen Dinh T, Nguyen T, 2011, Firm-specific marketing capital and job satisfaction of marketers: Evidence from Vietnam, Learning Organization, vol 18, no. 3, pp 251-263. Nguyen Dinh T, Nguyen T, 2011, Enhancing relationship value between manufacturers and distributors through personal interaction: Evidence from Vietnam, Journal of Management Development, vol 30, no. 4, pp 316-328. Nguyen Dinh T, Nguyen T, 2011, The WTO, marketing and innovativeness capabilities of Vietnamese firms, Management Research Review, vol 34, no. 6, pp 712-726. Park L, Ramamohanarao K, 2011, Multiresolution Web link analysis using generalized link relations, IEEE Transactions on Knowledge and Data Engineering, vol 23, no. 11, pp 1691-1703. Rocker C, Maeder A, 2011, User-Centered Design of Smart Healthcare Applications, Electronic Journal of Health Informatics, vol 6, no. 2, pp 1-3. Catchpoole D, Kennedy P, Skillicorn D, Simoff S, 2010, The curse of dimensionality: A blessing to personalized medicine, Journal of Clinical Oncology, vol 28, no. 34, pp e723-e724. Debenham J, Simoff S, 2010, The honourable negotiator: When the relationship is what matters, Lecture Notes in Computer Science, vol 6464, pp 344-353. Debenham J, Simoff S, 2010, Electronic trading environments for web 3.0, Lecture Notes in Business Information Processing, vol 61 LNBIP, no. 0, pp 146-157. Deray K, Simoff S, 2010, Kinetic inter-acting: A system for visual analysis of interaction dynamics, Proceedings of the International Conference on Information Visualisation, pp 73-78. Nguyen T, Nguyen Dinh T, 2010, Determinants of learning performance of business students in a transitional market, Quality Assurance in Education, vol 18, no. 4, pp 304-316. Zhang Y, Park L, Moffatt A, 2010, Click-based evidence for decaying weight distributions in search effectiveness metrics, Information Retrieval, vol 13, no. 1, pp 46-69. Yu T, Simoff S, Jan T, 2010, VQSVM: a case study for incorporating prior domain knowledge into inductive machine learning, Neurocomputing, vol 73, no. 13-15, pp 2614-2623.